Mona Precast Concrete Paving Specialists offer a diverse range of block paving products that are suitable for a variety of applications depending on the aesthetic that is required. Mona Precast understand that paving projects can be confusing when you aren’t sure how many blocks you need or how much it is going to cost. Considerately they have provided the incredibly useful ‘Paving Calculator’, you just select the kind of block paving required, the area which needs covering, hit ‘calculate’ and they do the rest. A perfect helping-hand for DIY and large scale commercial projects. The Monapave Slab is available in three stunning finishes, Smooth, Riven and Contemporary Conwy. These are easily compatible with the Paviours that Monaprecast has to offer. The slabs are durable, strong and can transform any garden into a marvellous plaza. Monakerb products are ideal for edging driveways, pathways and patios. These are produced two sizes and provide a perfect finishing touch to any paving product. Mona Channel units on the other hand are perfect for being the perfect surface runway for driveway, pathway etc. Britannia Paviours possesses an ornate time-worn appearance, adding an accolade of prestige to any property, with n antique finish of these paving blocks. This block paving piece is a timeless classic for patios, driveways and terraces. Penmon Paviours have undergone treatment which allows them a weathered look that shows off a rich texture and a bright reflective quality that the stone provides. This also gives them an added advantage of being lowslip, this means they not only look great, but also a practical choice too. Carreg Mon Paviours instill a superior look into your property, while retaining a rustic charm. Paving blocks such as this provide a timeless appeal, and this blends with any home. You can complement your block paving with a few colours to have a striking colour scheme. Carreg Cobble Paviours provide your property with a look reminiscent of traditional courtyard cobble, this fits nicely whether your home is traditional or more contemporary. 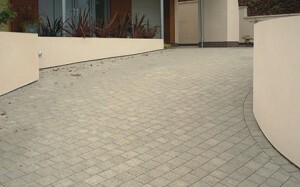 Monapave 50 concrete paviours improve the look of the surroundings with a classic and sharp look. Monapave Permeable are designed in a way which allows water to drain between the tiles to prevent flooding. These are designed to be laid out in 3 traditional ways; stretcher bond, herringbone and basket-weave. Monapave Hexagon – the clue is in the name, that classic hexagon look is a visually striking design which compliments any environment. One of the most important thinsg before beginning any DIY job is whether you ahve the right tools for the job. For the majority of house hold DIY home repairs and projects power tools will be involved. Where would we be without power tools? They make manual tasks time efficient and less strenuous, making life easier and perform jobs at a superhuman level. Two fo the most reliable and well known manufacturers of power tools are DeWalt and Marcrist. These companies both have big reputations for creating a iwde range of high quality equipment for various applications. DeWalt specialise in power drills and almost everyone has heard of this brand when they are considering buying a new drill. Marcrist are experts in developing state of the art cutting discs for use on wood, porcelin, concrete and almost any material you can imagine. 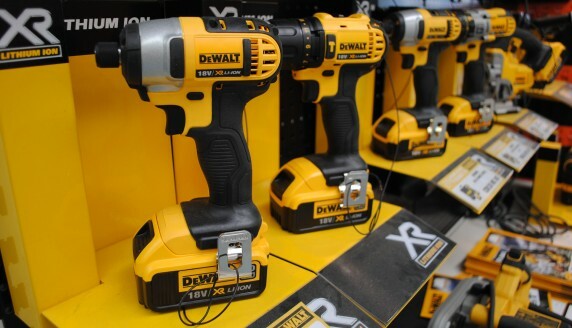 The DEWALKT XR is a revolution in cordless technology. A development process heavily involving on an end user research programme has improved the tool so now it is much easy for use with a number of hard wearing applications. It features new augments such as The Intelligent Switch & Electronic Module, a High Efficiency Motor and a new 4.0Ah battery pack in the XR battery pack mean that the DELWALT XR has a particularly long runtime, meaning that you can work for longer without charging, ideal for professionals who use their tools for hours upon end. Another widely used tool is the Fein MultiMaster, an oscillating multi-tool which is a huge asset to any DIY enthusiast, professional or tradesmen. This magnificently useful tool has evolved into various incarnations over the years, and now its better than ever- the undisputed best piece on the market today. Macrist produce some of the best disks available, they produce circular cutting blades that are designed specifically for different materials, and so are available in a range of shapes and styles, including the Mortar Rake Diamond Blade which is ideal for tearing up mortar from brickwork, there’s also the more applicable Rapido Turbo blade which is suitable for cutting most building materials in a fast and efficient manner. Other varieties include Tile Cutting Smooth Rim which are great for precision slicing tiles. There’s also jack-of-all-trades style blades which are universal in applications, this ranges from the standard universal blade to the unbelievable Mi850 Fast Universal Cut Diamond blade. Some ranges like the BF850 use Real Natural Diamonds which provide unparalleled precision, speed and longevity. If you are based locally in North Wales the best place to acquire these products is from Richard Williams Builder’s Merchants North Wales. They have two branhces, one in Llandudno Junction and one in Ruthin. They provide the latest and greatest in power tools for all your hardware needs from both these superior manufacturers. Richard William’s range is extensive, including DeWalt mainly, Bosch, AEG, Senco and Fein. Whether you want chorded or chord-less, there’s planers, routers, jigsaws, angle grinders, sanders, screwdrivers, sanders, heat guns, nail guns, and all the associated power tools accessories you could ever need.